Kenko black Lens2scope Adapter for Sony Alpha Mount is a simple accessory that converts any Sony Alpha Mount lens into a spotting scope. 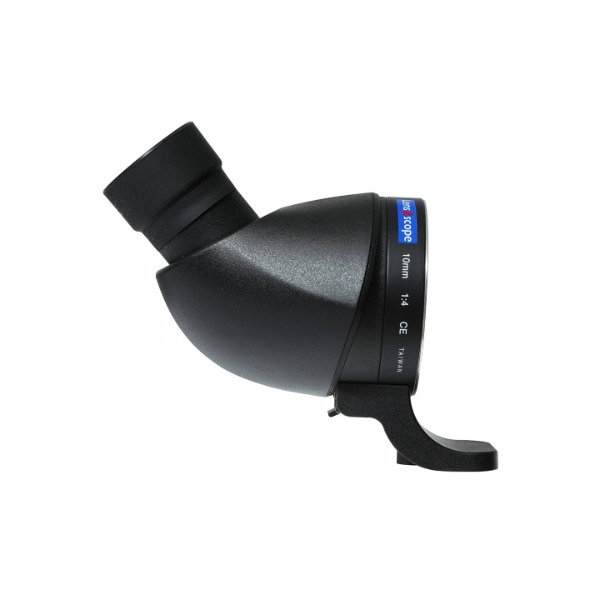 Its lightweight body houses a compact roof prism, lenses, and an eyepiece just like a traditional spotting scope and with the lens is attached, the whole system acts as a spotting scope. This model features an angled eyepiece that is set at a 45° angle for more comfortable viewing while sitting, standing or laying. Box Dimensions (LxWxH) 6.1 x 4.3 x 3.5"